I Want To Buy A Scale That Is Made In The United States of America. What exactly do you consider “Made in America”? The reason I bring this up is that it’s really difficult to find certain types of scales that meet a certain definition. According to the FTC, for most products there is no law requiring manufacturers and marketers to make a “Made in USA” claim. But if a business chooses to make the claim, the FTC’s Made in USA standard applies. Made in USA means that “all or virtually all” the product has been made in America. That is, all significant parts, processing, and labor that go into the product must be of U.S. origin. Products should not contain any – or should contain only negligible – foreign content. The FTC’s Enforcement Policy Statement and its business guide, Complying with the Made in USA Standard, spell out the details, with examples of situations when domestic origin claims would be accurate and when they would be inappropriate. For simplicity, let’s look at an industrial floor scale as an example. Ok so you’re looking to buy an American Made floor scale. Did you know that almost every floor scale that is built in the USA utilizes (4) load cells that were made in China? 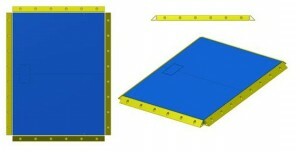 With that being the case, let’s say your floor scale was built in Rice Lake, Wisconsin but uses load cells from China. Do you still consider this scale an American Made item? Did you also know that many of the junction boxes and summing boards are made overseas? Finally, did you know that the home run cable, the fifteen foot long cable that connects the scale to your digital weight indicator is probably constructed overseas? And, what about the steel used in the floor scale? Was it purchased domestically? Sticking with the floor scale example, next area to consider is the digital weight indicator. Is it one hundred percent made in the USA? Were all the boards and components made in America? How about the display board? The plastic or stainless steel enclosure? Was the AC adapter made in the USA? These are some interesting things to consider. I know of many people who can justify buying a scale that was constructed and calibrated in the USA but does utilize some Chinese components. However, there are some who absolutely want their products to be 100 % made in America. Are there any scales that can one hundred percent meet that? From our standpoint as a distributor it can be quite tricky since we are not involved in the actual manufacturing process. We have had numerous scale manufacturers tell us over the years that they build Made in the USA weighing equipment and then over time they slowly start substituting Chinese parts or in some cases, send all the manufacturing over to China. Unless the scale manufacturer tells us, sometimes we are not even aware that anything has changed in the manufacturing process. So if buying a Made in the USA scale is important to you, contact us and we can help you. Just be sure to specify to us up front how flexible you wish to be when it comes to things like Chinese components such as load cells being a part of the final product. In our experiences, many customers may originally start a transaction as a “Made in the USA” fanatic but once they discover certain prices and lead times for domestic components, they become a fanatic of “Made in U.S. from Imported Parts” or “Assembled in U.S.A.”. Roughdeck floor scales manufactured by Rice Lake Weighing Systems in Wisconsin are simply the strongest and most accurate floor scales available. 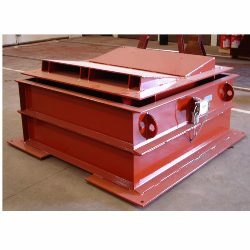 These Made in USA heavy-duty scales are built tough from start to finish and lives up to its name with a superior structural design which has proven so durable that each Roughdeck carries a full five-year warranty on the deck structure. 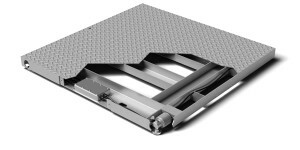 Roughdeck floor scale design separates itself from other floor scales by minimizing deck deflection and other forces that could damage load cells. This provides greater accuracy and repeatability with every weighment. 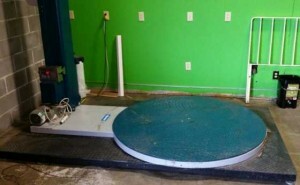 These floor scales can also be made in any custom size, shape, or capacity to meet unique needs. Rice Lake uses an intense cleaning process to remove all foreign materials and residue before painting to ensure proper paint bonding. Thick coats of paint are applied adding to each scales industry leading durability. Stainless steel decks are abrasive blasted for a clean finish suitable for corrosive, chemical or washed down environments. Included with all models the rugged stainless steel Toughseal junction boxes are specifically designed to protect sensitive circuitry. Adjustable stainless steel Surefoot support feet decrease extraneous forces on the load cells resulting in superior accuracy and repeatability. All Roughdeck models have threaded holes in the deck. This allows for the installation of eyebolts for use when lifting the scale with chains or using a spreader bar during installation or when servicing. All assembled Roughdeck scales are delivered with the junction box corner trimmed which equalizes load cell output. Standard or customized; the Roughdeck series is available in low profile, stationary, and portable versions and offers component interchangeability and alternative construction materials to meet specific industrial requirements. 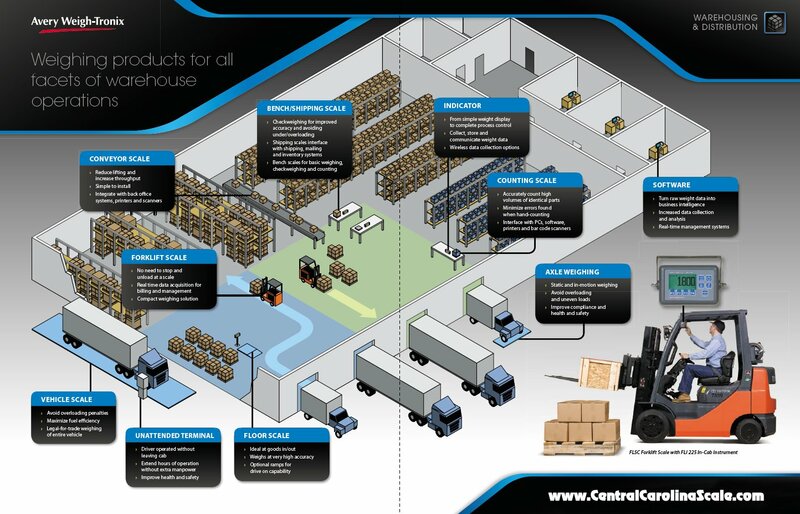 From basic shipping and receiving, to highly corrosive or washed down environments. Rice Lake has a Roughdeck to meet any need. From weighing pallets, steel coils, truck axles, and even people or animals – Rice Lake floor scales carry the durable reputation and strength of the Roughdeck name. Durability and performance to last a lifetime. 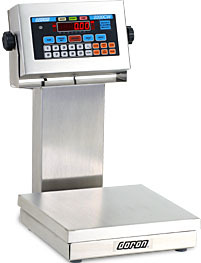 If you are looking for a reliable weighing solution that is built tough and designed to last, please give us a call at (919) 776-7737 or fill out the request a quote form on our website. Can I Buy An American Made Floor Scale? Over the past few months on this site we have taken a look at how realistic is it to purchase certain types of scales and related equipment that is actually made in the USA. We looked at Made In The USA scale indicators and Built in America Load Cells. Today I wanted to find out if you can still buy a Made In the USA floor scale? Absolutely! Now I do want to write a small disclaimer before I get started. The information presented below is provided to the best of my knowledge and at the time of this writing is true. As all of you know, the pressures of a shaky economy and increased competition can always force scale manufacturers to change their process. But to my knowledge what I’m writing below is accurate regarding these decks being made in the United States. So with that being said, let’s answer the simple question. Can I still get a floor scale that was actually built in America? Yes you can.